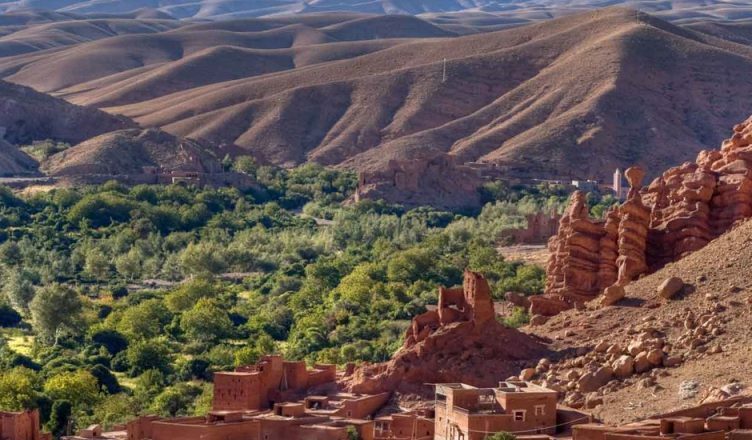 Travelling southeast from Ouarzazate to Zagora provides breath-taking views as we wind our way across the geologically interesting Jbel Anaouar mountains and then into the colourful Drâa Valley. 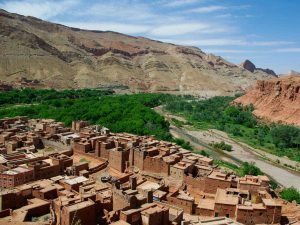 This valley, considered to be one of the most beautiful in Morocco, is lined with date palm groves and ksour (walled villages) along the route. A truly magical route that winds through the valley, the Oued (River) Drâa running through it, date palm groves and ksour lining the route and mountains providing an impressive backdrop. 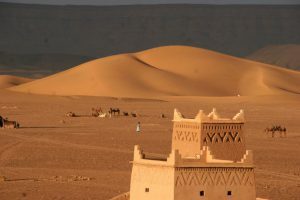 We’ll wake up early to see the sun rise over the desert and enjoy our breakfast before riding the camels back to meet our driver. We’ll head back to Marrakesh passing through Nkoub, Agdz, and the Drâa Valley.